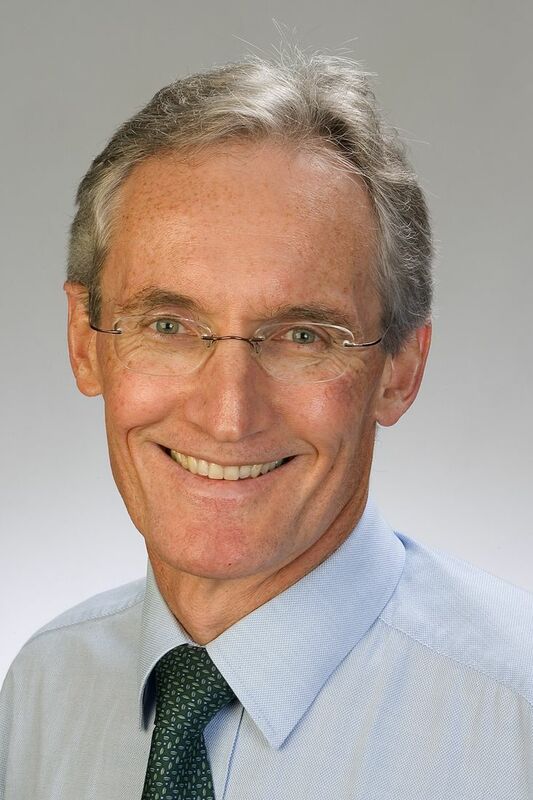 Geoffrey A Donnan, MD is Director of The Florey Institute of Neuroscience and Mental Health and Professor of Neurology, University of Melbourne, Austin Hospital in Australia. He graduated from the University of Melbourne and trained in Neurology at the Austin Hospital followed by post-doctoral positions at the Mayo Clinic and Massachusetts General Hospital. Professor Donnan was involved in the original descriptive work identifying a number of unique clinical syndromes including the Capsular Warning Syndrome and Striatocapsular infarction. He established the North East Melbourne Stroke Incidence Study (NEMESIS) in which the incidence of stroke was determined for the East coast of Australia. Using this as a basis and other case control studies, he made early contributions to the establishment of smoking and passive smoking as risk factor for stroke, aortic arch atheroma and the lack of risk associated with the low dose oral contraceptive pill. He was co-founder with Professor Stephen Davis of the Australian Stroke Trials Network (ASTN) within which there have been conducted numerous investigator driven and other stroke trials. The first of these was the Australian Streptokinase Trial (ASK), which he led, and he has since been involved in numerous clinical trials of therapy as Chair, Co-Chair or Steering Committee member. More recently, he has co-founded Neurosciences Trials Australia (NTA), which incorporates neuroscience interest groups ranging from stroke to migraine and provides coordination and support for commercial and investigator driven clinical trials. He also has a major interest in the imaging of the ischaemic penumbra. His other major interest is the interface between basic sciences and clinical stroke medicine, and in collaboration with Dr Malcolm Macleod and Associate Professor David Howells, he has adapted the meta-analysis technique to assess therapies in animal stroke models. Professor Donnan has been involved in a number of international initiatives, including establishment of the World Neurology Foundation and the World Stroke Foundation (Secretary). He has chaired the scientific committee or executive committees of a number of international meetings including the 6th International Symposium on Thrombolysis and Acute Stroke (2000), World Stroke Congress (2000) and World Congress of Neurology (2005) and was co-chair of the Education Committee for the World Stroke Congress, Vienna (2008). Professor Donnan has published over 400 papers in peer reviewed journals, over 60 book chapters, edited four books and has been Lecturer or Visiting Professor in numerous countries. He has trained a large number of Fellows in stroke neurology who now work throughout Australia and other parts of the world. He has served on many international journal editorial boards including Stroke (Co-Section Editor for Stroke Controversies), Cerebrovascular Diseases (Associate Editor) Lancet Neurology and is currently Editor-in-Chief of the International Journal of Stroke. Professor Graeme J Hankey, MBBS, MD, FRCP, FRCPE, FRACP, FAHA is Professor of Neurology, School of Medicine and Pharmacology, The University of Western Australia; Consultant Neurologist, Sir Charles Gairdner Hospital, Perth, Western Australia; Clinical Trials Advisor, Harry Perkins Institute of Medical Research, Western Australia; and Research Affiliate and Honorary Senior Research Fellow, Western Australian Neuroscience Research Institute. His main research interests include epidemiological studies and clinical trials of interventions to prevent and treat stroke. He is presently co-principal investigator of the Assessment oF FluoxetINe In sTroke RecoverY (AFFINITY) trial in Australia and New Zealand, steering committee member of the Fluoxetine Or Control Under Supervision trial (FOCUS) in the United Kingdom and the Efficacy of Fluoxetine- a randomised controlled trial in stroke (EFFECTS) in Sweden, and national coordinator for Australia of the international NAVIGATE-ESUS trial of rivaroxaban vs aspirin in patients with recent Embolic Stroke of Undetermined Source (ESUS). He and his colleagues have been awarded $52 million in competitive research grants, including $42.6 million from the NHMRC in the past 22 years and 18.9 million in the past 5 years (since 2010). Professor Hankey has authored or co-authored 680 peer-reviewed articles and according to Google Scholar, his work has been cited >47,500 times; his H-index is 90 and i10-index is 366. He is the author or co-author of 10 books (the most recent Hankey’s Clinical Neurology, 2nd edition, 2014), 20 book chapters and 12 Guidelines on aspects of stroke and clinical neurology. He has delivered 527 invited lectures at international (n=307), national (n=125), and local (n=95) scientific meetings. He is an editorial consultant for The Lancet and The Lancet Neurology, consulting editor for the International Journal of Stroke, associate editor of Stroke Treatment and Prevention, Section Editor (Neurovascular and Neurodegenerative Diseases) of the Journal of the American College of Cardiology (JACC), and member of the editorial boards of Stroke, the Cochrane Stroke Review Group, Cerebrovascular Diseases, Practical Neurology, Neuro-epidemiology, and International Review of Thrombosis. 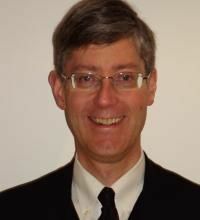 He is a member of the Board of the World Stroke Organisation and Scientific Council of the American Stroke Association. He was a Director and Councillor of the Australian Association of Neurologists between 2004 and 2007, and a member of the NHMRC Health Care Committee between 2013-2015. Professor Hankey has been awarded the 2015 American Stroke Association David G. Sherman lecture award for outstanding lifetime contributions to the field of stroke, the 2014 Neurosurgical Society of Australasia Jamieson Medal, the 2011 Stroke Society of Australasia Excellence in Stroke Award, the 2011 UK Stroke Forum Princess Margaret Memorial Lecture, the 2009 Royal College of Physicians of Edinburgh Marjorie Robertson Lecture, the 2006 Western Australian Premier’s prize for achievement in science, the 2006 Australian Association Neurologists Mervyn Eadie award for career achievement in neuroscience research, the 1999 National Heart Foundation President’s Award, the 1997 Royal Society of Medicine Medical Book Award - Advanced Author Book category - for Stroke: A Practical Guide to Management (Blackwell Scientific Publications, Oxford), the 1987 Royal Australasian College of Physicians Bushell Travelling Fellowship in Medicine or the Allied Sciences, and the 1987 Australian Association of Neurologists Overseas Training Fellowship for the Mayo Clinic. Stroke is the leading cause of long term adult disability and is the second leading cause of death, both in Australia and globally. Professor Levi is part of a world-recognised team who are working to transform the clinical treatment of stroke<https://hmri.org.au/research/brain-mental-health/stroke-and-brain-injury> and give the 50,000 Australians who are affected each year a better recovery. Since arriving back in Newcastle in 1999 to establish the John Hunter Hospital Stroke Unit and Research Group, Professor Levi has made a number of ground-breaking discoveries and led prestigious clinical trials and studies. One of the major advances in recent years is the trial of the new clot-busting drug for treatment of stroke called Tenecteplase, co-led by Professor Chris Levi and Professor Mark Parsons<https://hmri.org.au/researchers/mark-parsons>. 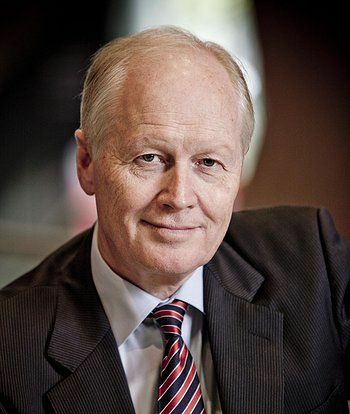 Professor Peter Mitchell is the current President of the Australian and New Zealand Society of Neuroradiology and Director of the Victorian State-Wide Endovascular Stroke Services. He trained at the University of Melbourne, and Royal Melbourne Hospital. Neuroradiology and Neurointervention subspecialty training was at Portland, USA, and later as visiting Professor at UCSF, San Francisco. 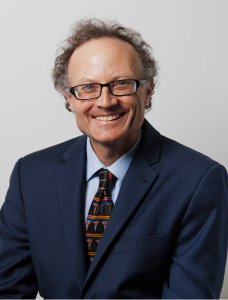 He returned to Melbourne in 1993 as Consultant Radiologist at The Royal Melbourne Hospital, and remains an Honorary Consultant at the Royal Children's Hospital (Neurointervention). He has been the Director of Interventional Neuroradiology from 1993 till present and he heads an expanded Neurointervention Service. A Fellow of the Royal Australian and New Zealand College of Radiologists, and Member of: the Interventional Radiology Society of Australasia; World Federation of Interventional and Therapeutic Neuroradiology; American Society of Neuroradiology. Jim Jannes is an Associate Professor at the University of Adelaide School of Medicine and works as a Senior Consultant Neurologist and Head of the Stroke Unit at The Queen Elizabeth Hospital. He served as the inaugural chair of the South Australian Stroke Clinical Network and has provided significant contribution to the development and implementation of stroke services in South Australia. A/Prof Jannes has completed a PhD in neurogenetics and is currently an member of the Stroke Research Program at Adelaide University. He has published widely in the fields of stroke neurogenetics, endothelial dysfunction, stroke epidemiology and stroke service delivery. Vincent Thijs is the Head of Stroke at the Austin Health since 2015. He recently moved from Belgium where he headed the Stroke Unit at the University Hospitals in Leuven. He was a professor at the Department of Neurosciences at KULeuven and a research fellow at the VIB (www.vib.be). He was twice awarded a Clinical Investigatorship by the FWO (main research fund in Flanders). His research interests include acute stroke treatment, stroke prevention, young stroke, the genetics of atrial fibrillation and stroke, and neuroimaging. 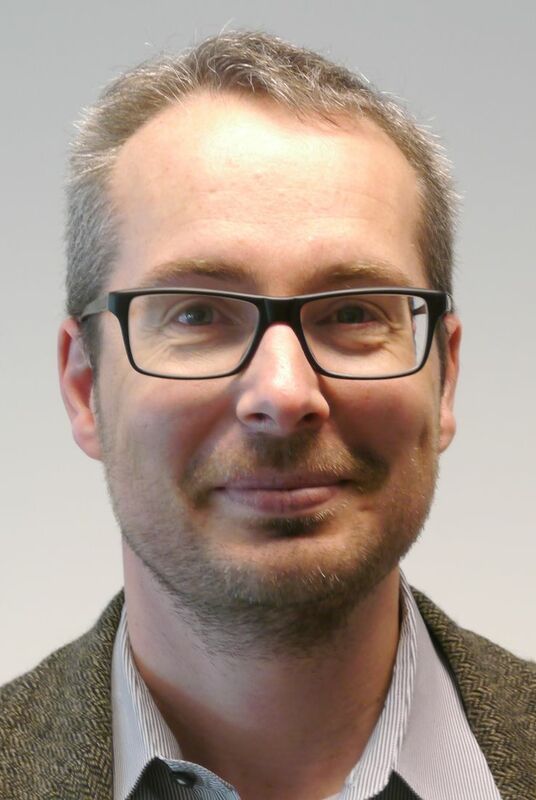 Professor Thijs completed a PhD on magnetic resonance imaging in stroke, and has served on the steering committee of several acute stroke clinical trials (WAKE-UP, SCAST, MITI-IV and AXIS) and secondary prevention trials (SOCRATES, RE-SPECT ESUS and REACT-AF). Professor Thijs is a member of the International Stroke Genetics Consortium and an editorial board member of Stroke journal and the European Stroke Journal. He has authored or co-authored more than 170 peer-reviewed papers on stroke. Professor Christian Lueck is a neurologist at the Canberra Hospital and an Associate Professor at the Australian National University Medical School (ANUMS). He is a dedicated and exceptionally well-regarded teacher of medical students at all levels and, in addition, is recognised nationally as an enthusiastic and influential teacher of neurology and neuro- ophthalmology at a post-graduate level. 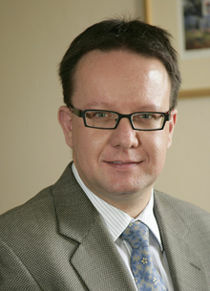 Since 2003, he has led the development of the neurology curriculum of the new ANUMS which first took students in 2004. In addition to overseeing this curriculum development, he created the senior medicine and surgery term and has introduced novel approaches into the examination process in the final year. He is responsible for organising annual post-graduate training weekends for advanced trainees in neurology and neuro- ophthalmology. He has co-authored a textbook chapter on neurology which is used by medical students around the world, and has published two papers specifically related to learning in his discipline. He has been awarded several prizes for his teaching, a major focus of which is to assist students and post-graduate doctors learn how to apply their knowledge more effectively when diagnosing and managing patients. 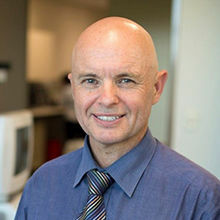 Professor David Blacker is a Neurologist and Stroke Physician at Sir Charles Gairdner Hospital (SCGH),Visiting Neurologist to the Royal Perth Rehabilitation Hospital, Clinical Professor of Neurology at the University of Western Australia (UWA) and Visiting Medical Officer to Hollywood Private Hospital. Professor Blacker completed his Bachelor of Medicine, Bachelor of Surgery at UWA in 1991 and went on to specialise in neurology, practicing in WA teaching hospitals and then spending two years at the Mayo Clinic, Rochester, Minnesota, USA as a Cerebrovascular Diseases Fellow. He then returned to Perth in 2003 and focused on stroke -from acute stroke management to rehabilitation approaches and research. Professor Blacker is presently involved in a number of local, national and international stroke studies and is a member of the Australasian Stroke Trials Network Executive Committee and the Australian Stroke Coalition Acute Stroke Services Committee.Appreciating the vital importance of diagnosing stroke quickly in patients presenting to hospital and minimising the time taken to provide life saving treatment, Professor Blacker has been responsible for significant improvements in this regard and was recognised in 2005 with a West Australian Health Department Patient Safety Award for the developing the Code Stroke Team at SCGH. Dr Read is a Visiting Neurologist at St Andrew’s War Memorial Hospital in Brisbane, and a Senior Lecturer, School of Medicine, University of Queensland. He graduated from the University of Queensland in 1988, before training in neurology at the Royal Brisbane Hospital, and obtaining the FRACP in 1996. Between 1996 and 1998 he was a Stroke Research Fellow at the National Stroke Research Institute, Austin Hospital, Melbourne, working under the supervision of Prof. Geoffrey Donnan, and was awarded a PhD from the University of Melbourne in 2000. After returning to Brisbane in 1999 he worked as a Visiting Neurologist at Royal Brisbane & Women’s Hospital, and was involved in establishing the Stroke Unit at RBWH in 2001, leading the unit from 2001-2007. Alongside the clinical service he helped establish a program of clinical stroke research which included cross-disciplinary collaborations with local and interstate investigators. 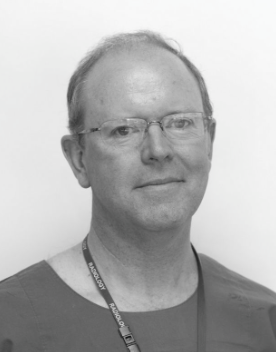 He left the RBWH in 2011 to work full-time in private practice at St Andrew’s Hospital, but continues to be involved in a range of research activities, has helped supervise a number of post-graduate students to higher degrees, and continues to teach undergraduate medical students from UQ.